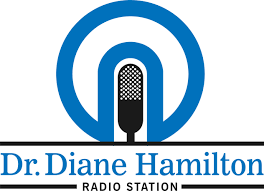 Dr. Diane Hamilton Radio is a show that includes interviews with some of the most successful entrepreneurs, thought-leaders, authors, speakers, and other individuals who will inspire you to take the lead in your career and personal life. This episode interviews two top motivational keynote speakers and best-selling authors discuss business success. Larry Winget is a six-times New York Times/Wall Street Journal bestselling author and a member of the International Speaker Hall of Fame. He has starred in his own television series and is also a regular contributor on many news shows on the topics of money, personal success, parenting, and business. Larry is also the trademarked Pitbull of Personal Development®. Tamara is the founder of LaunchStreet, the online innovation program and community and creator of the proprietary Innovation Quotient Edge, the only assessment able to help discover a unique Innovator Archetype so individuals can innovate on demand. She is a sought-after keynote speaker, Crossfit addict and knee high sock lover.